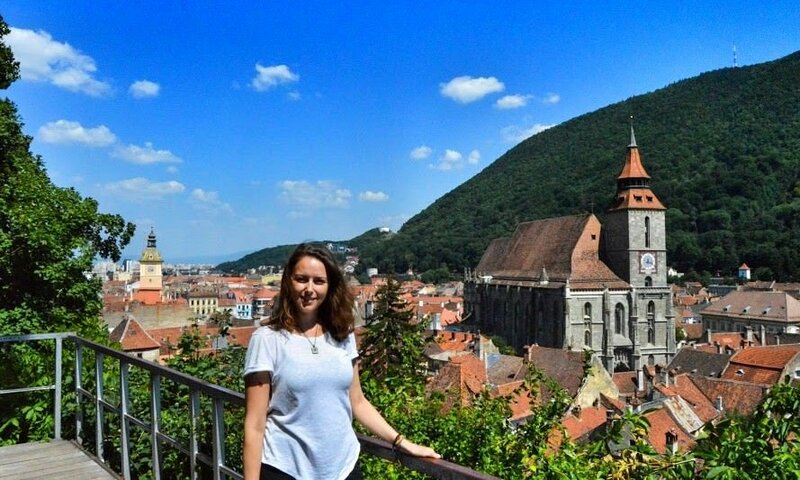 There are many things to do in Brasov, especially if you have a fondness for exploring historic towns. Our second stop in Romania was the historic, and beautifully restored, city of Brasov. This is where we got our first true taste of of Transylvania. 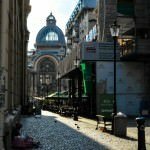 After living in Bucharest for two months we were a little worn out by city life. Brasov provided the cure we so badly needed. We very happy to find that Brasov was tranquil and laid back, moving at a pace seemingly ten times slower than the capital city. Brasvo’s town center is a collection of quaint cobblestone streets, restored churches and cathedrals, and twisting stone alley ways. 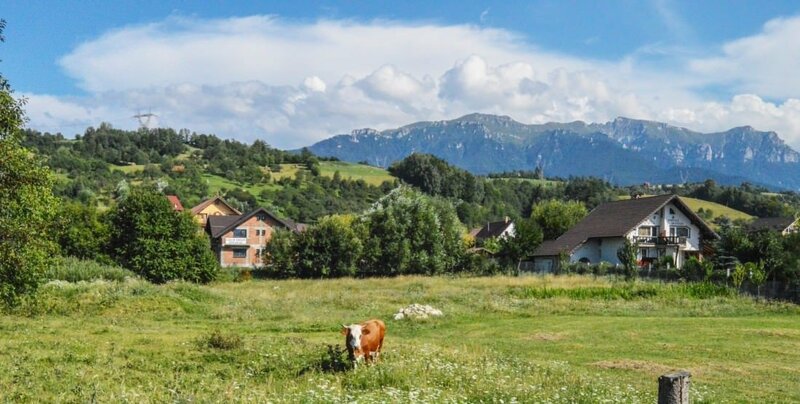 Surrounding the center is an ocean of green, spreading out from the many parks and into the emerald foothills of the Carpathian mountains that embrace the city in a mossy hug. Brasov is old. Like, really old. The city was founded in the 13th century, and was situated on the crossroads of trade routes between the Ottoman Empire and Western Europe. This made it a bit of a hot spot, and a prime target for marauders and such, so the city was fortified with a thick strong wall. 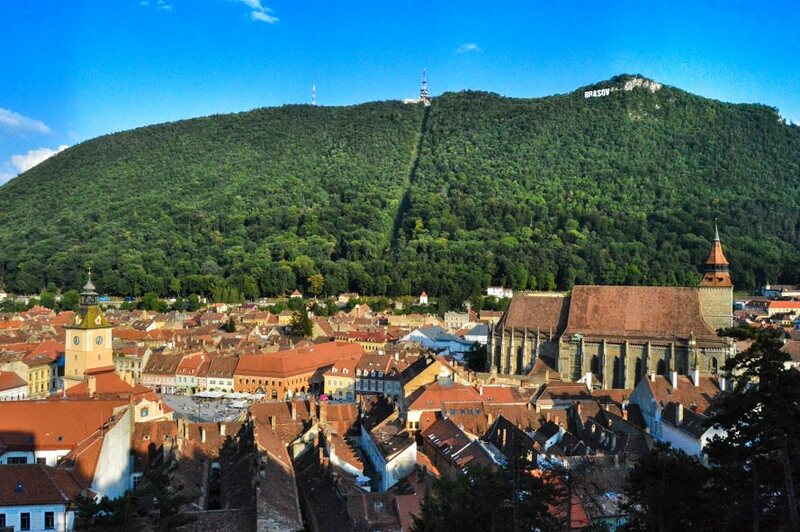 Built up by German settlers, Brasov is one of Transylvania’s famed “Seven Citadels”. Brasov’s beauty and history attract a lot of tourism and it’s certainly one of Romania’s most visited destinations. Given its relatively small size the Old Town of Brasov feels a little crowded with tourists at times, especially along the main walking street. Don’t let the multitude of identical cafes, restaurants, and trinket shops deter you from enjoying this marvelous gem of a city, however. 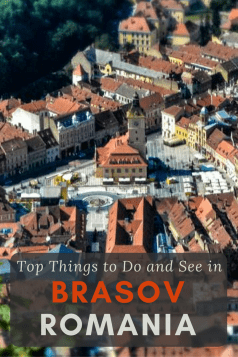 There are plenty of things to do in Brasov, as we found in the seventeen days we were lucky enough to live there. 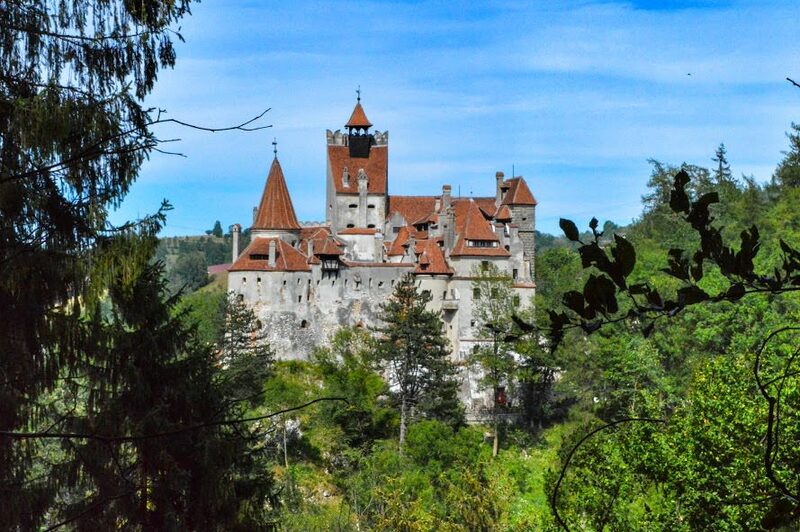 Marketed as “Dracula’s Home” Bran Castle stands atop a hill overlooking the small agricultural town of Bran. The castle is a huge draw with tourists, and bring thousands of visitors to Brasov and Bran every year. Vlad the Impaler never lived here, and is said to have visited this castle only once in his life. So, is it worth going inside the castle along with a swarm of other folk eager for some vampire corniness? We’ll let you decide for yourself. We were fine just viewing it from a distance. The beautiful countryside right outside of Bran. Bran itself is a quaint little town, albeit overrun with visitors. The outskirts are nothing short of beautiful, and we recommend taking a walk away from the hustle and bustle of the castle to explore the country side. Additionally there is a rather steep and difficult hiking trail near Bran Castle that can be used to access for awesome views, not just of the castle itself, but of the entire valley. Bring your hiking shoes and plenty of water, however, as this is NOT the easiest hike you’ll ever undertake. 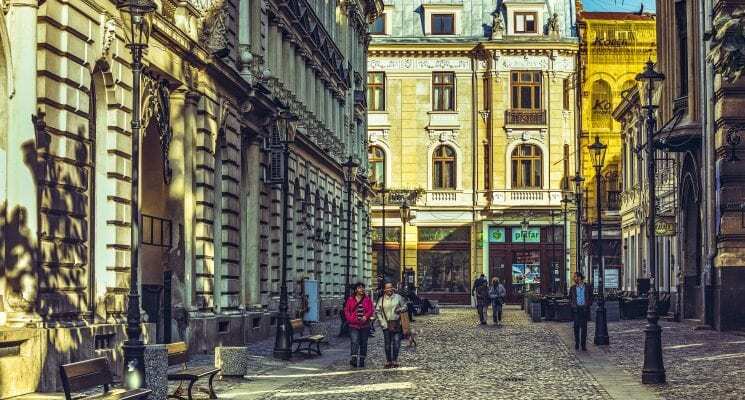 Whether you choose to explore the insides of the castle or just meander around town, visiting Bran is definitely one of the top things to do in Brasov. For an up close look of the city from above, take a short walk to the White Tower, located on Warthe Hill. The tower was built in the late 15th century as a defensive bastion. It 5 floors and stands 18-20 meters high, with some pretty impressive battlements at the very top. You can go inside for 7 lei ($1.75) and while the tower its self was some interesting art work on display the main draw is the fantastic view of Brasov from above. It’s great to go an hour or so before sunset, as the golden rays of the sun bask the city in an amber shade, coating all of the ancient buildings and red rooftops in a pleasant glow. 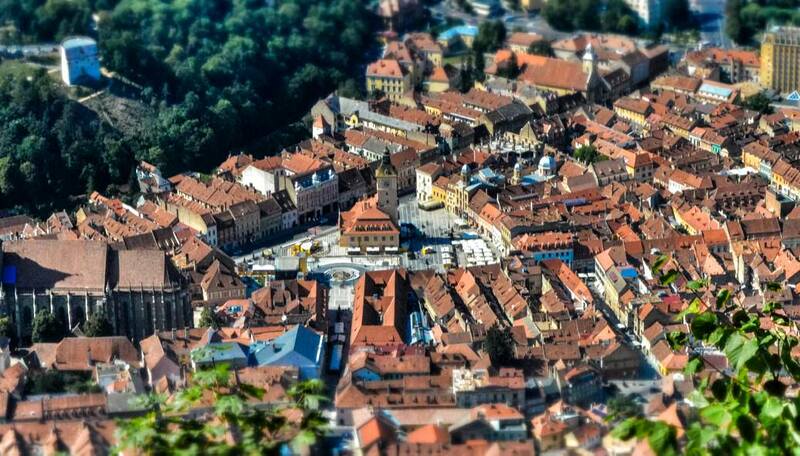 Brasov from way up above. Quite the view! One of the first thing’s you’ll notice when visiting Brasov are the Hollywood-like letters perched on a large verdant hill named Tampa Mountain overlooking the old town, spelling out B-R-A-S-O-V rather proudly. Like the famed sign in Los Angeles this is a bit of a needless eye-sore. However, if you want a majestic view of the Old Town, and all that lies beyond it, there is no better spot in the entire city to visit. You can either hike to the top of Tampa Mountain in about an hour or make the 3,000 foot ascent via cable car to the top for 16 lei ($4) round trip. Once at the peak ther eis a bar/restaurant for the hungry and the thirty, and a few hiking trails for those looking to explore. 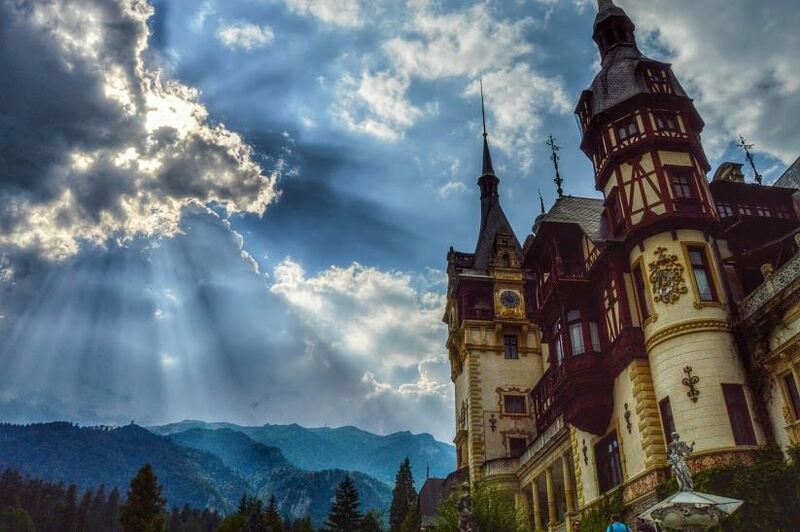 Resplendent and a tad pretentious, Peles Castle is a sigh to behold. This work of art is located in Sinaia, which is situated about a hour by train from Brasov. Don’t let that deter you though. If you come to Brasov you must make time to visit Peles. This Neo-Renaissance beauty was constructed in the 19th century and is, in our opinion, one of the more impressive works of architecture we have seen to date. 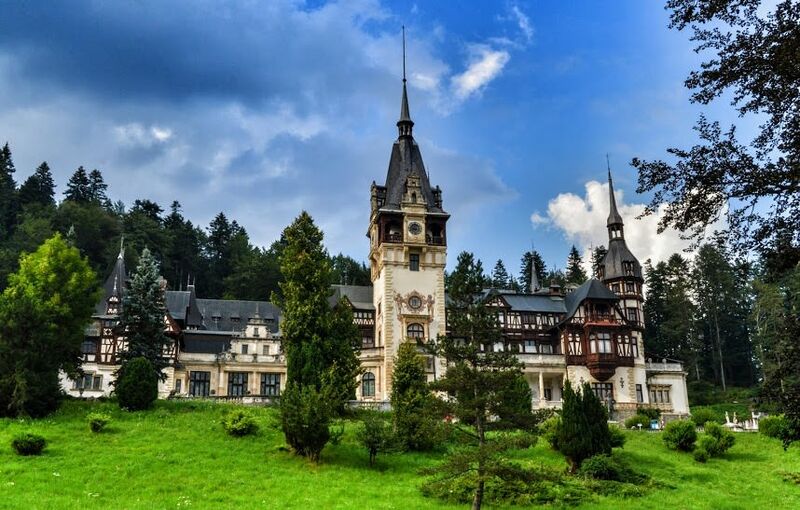 King Carol the First, who left quite the mark on Romania and is a beloved figure in the country’s history, commissioned the castle to be built in 1866 after being inspired by the beauty of the surrounding area. And indeed, beautiful it is. 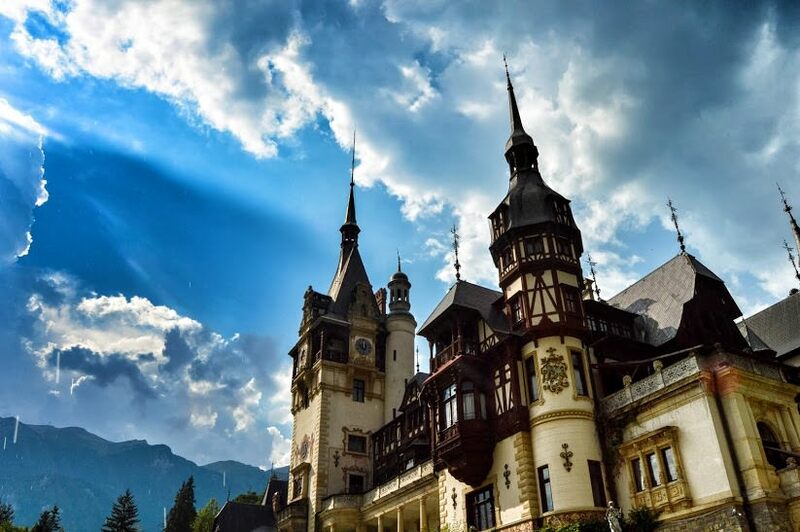 Snugly embraced by verdant forests growing in the picturesque foothills of the Carpathian Mountain range, the castle stands as a testimonial to the king’s love for the region. A train ticket from Brasov to Sinai will cost you about 17.50 lei ($4.38). Once you arrive to this small town, make your way up the hill from the train station. You will see signs leading you straight to the castle. You can buy tickets to walk around inside Peles for 20 – 50 lei ($5.00 – $10.00) depending on the tour you choose or you can simply admire if from the outside and check out some of the cool statues in its garden. Afterwards you can have a drink at a conveniently located cafe before making your way back to Brasov, or further south to Bucharest. We escaped! With our friends Tommo and Megsy of The Travel Freedom Network. Have you ever wondered what would happen if someone locked you and your friends in a room and told you the only way to escape was by piecing together vague clues in order to discover the secret to getting out? If so, you’re kind of weird. Fret not, you aren’t alone. Escape rooms are becoming all the rage across Europe and we just HAD to try the one in Brasov. Regardless of whether or not you’ve fantasized about that scenario before, if mind games and brain teasers are your thing and you’re looking for an hour of intense, team building fun with a couple of friends you have to try Mind Puzzle’s Escape Experience. 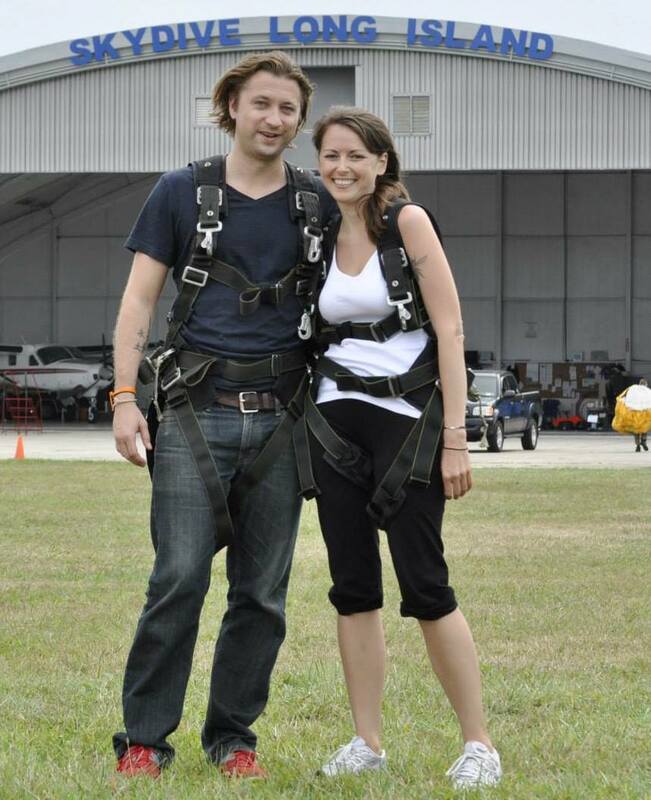 Be sure to bring your A-game because it’s a serious challenge and not everyone gets out in the allotted time. We’re proud to say that we successfully escaped with several minutes to spare (and we posed for above photo as our proof!). 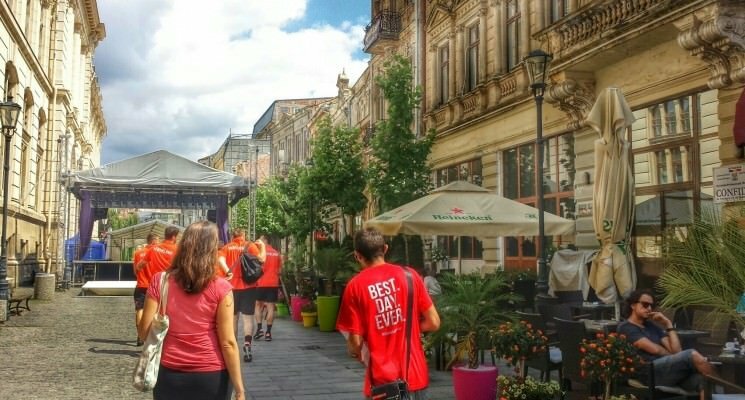 For incredible retro ambiance be sure to check out Festival 39, located right in the Old Town Center. This restaurant/bar is a literal throwback to a time long gone. Enjoy a meal or a 5 lei ($1.25 USD) draft beer as you bask in the past. Romanian soul food done right, and prepared with affection. This place offers a unique menu, including several vegan options (a rare find in Brasov!). Stop by for their incredibly inexpensive two course lunch menu. 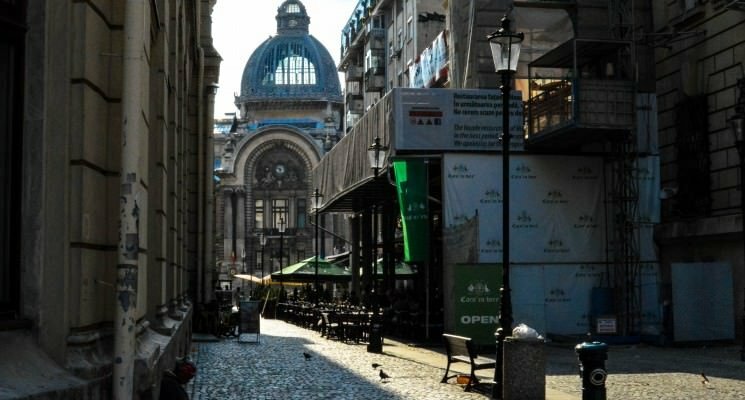 Steps away from the touristy chaos that exists on the streets of the Old Town lies Kafe Pub. As soon as you walk in you’re transported to a calm oasis of comfy chairs, excellent music, delightfully odd decor, and delicious cocktails or coffee. It’s the perfect place to spend a quite afternoon alone working or an evening relaxing with friends. What’s better than finding a vegan restaurant in a town full of restaurants catering only to Omnivours? Finding a vegan dessert shop of course! This lovely little shop offers a variety of fresh, raw vegan desserts that includes bars, pies, and cakes. It doesn’t really matter which ones you try, you won’t be disappointed. Brasov is an affordable destination for travelers and there are plenty of budget accommodation options. Dorm beds in hostels start at around $10.00 a night and private rooms in hostels or at a hotels start at about $25.00 a night. We recommend the following accommodation options in Brasov. 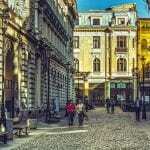 Click here for a list of all hotels in Brasov. It sounds like an absolutely beautiful city. I’d love to see some of those castles! 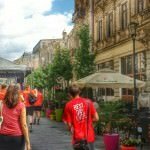 Loved this post – we’ll be in Brasov for at least a month, most likely two, starting in October. Although not vegan, my wife doesn’t eat meat so some of the restaurant recommendations appreciated. Look forward to doing some hiking and seeing autumn colours! That’s awesome Frank. Do you know where else in Transylvania you will go? We’d love to see your photos of the fall colors, so make sure to stop by and share the with us after your trip! Shameful comment DOME. People, please accept our apologies! Dome, Sorry you have had such crappy experiences abroad. We found Romanian people to be extremely open and welcoming during our 3 months in Romania last year. As tourists we are well aware that we are visiting a country that is NOT our home. We hope most other tourists realize that as well, and we continue to spread the message of responsible and sustainable tourism. Wonderful post guys! How did you get around the region? What mode of transportation do you suggest… Train, bus, car rental?